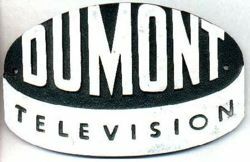 TV Network..when Dumount was closed down in September of 1958..
it became a local independent NYC based tv station:WNEW TV Ch.5. In those days in NYC channels 5, 9 and 11 were the "independent" stations. And 13 was the "educational" channel.